IT’S BEEN A CRAZY BEAUTIFUL RIDE FOR THE PAST DECADE. ONE WE’VE ALL ENJOYED. 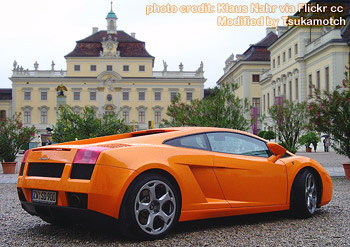 AND NOW THE LATEST GALLARDO IS HERE, THE NEW MASTERPIECE OF THE COLLECTION. WIND IN YOUR HAIR, SMILE ON YOUR FACE, FOOT TO THE FLOOR. ITALY PERSONIFIED. DRIVE IT NOW, OR REGRET IT LATER. © 2012 Tsukamoto Shoosen All Rights Reserved. Powered by Blogger.